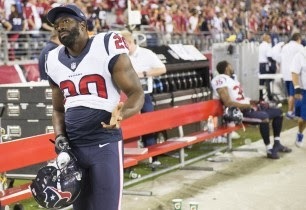 The Houston Texans have cut ties to safety Ed Reed, ending their relationship after Reed played in only seven games with the team this season. The 12-year veteran signed a three-year, $15 million contract with Houston in the offseason and revealed his hip injury after the contract was finalized. Reed missed the entire preseason and the first two weeks of the regular season. The Texans were 2-0 without Reed and 0-7 with the potential Hall of Fame safety in their lineup. The Eagles, Patriots and Cowboys are three teams that could use help in their secondaries and if Reed clears waivers then don't be surprised if one of those teams picks the former Raven up.